Create your own HP LaserJet 2700 color toner pack / bundle with our flexible quantity discount pricing. Mix and match products so you are only purchasing what you need, but also maximizing your savings. Compatible Cyan Toner Cartridge with 3,500 page yield. Equivalent to HP part number(s): Q7561A, 314A Cyan. Fits the following model(s): HP 2700. Remanufactured Magenta Toner Cartridge with 3,500 page yield. Equivalent to HP part number(s): Q7563A, 314A Magenta. Fits the following model(s): HP 2700. Remanufactured Yellow Toner Cartridge with 3,500 page yield. Equivalent to HP part number(s): Q7562A, 314A Yellow. Fits the following model(s): HP 2700. Remanufactured Black Toner Cartridge with 6,500 page yield. Equivalent to HP part number(s): Q7560A, 314A Black. Fits the following model(s): HP 2700. Buy our high quality compatible toner for HP LaserJet 2700 with confidence. Join thousands of happy customers who have found our compatible products are equivalent in page yield and print quality. For our compatible products, we offer a 100% Satisfaction Guarantee allowing you to return products within 6 months if you are unsatisfied. 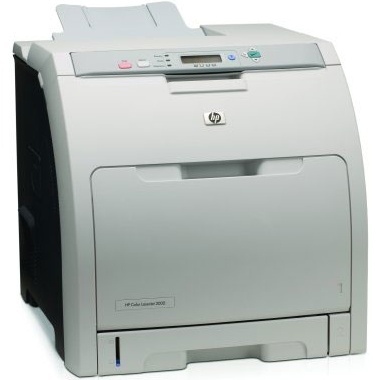 Although the HP LaserJet 2700 is slightly on the expensive side, the available supplies and HP toner is cost efficient, which help make up for this unit's high retail price. This printer uses black and color HP 2700 toner to produce a maximum resolution of 600x600 dpi. This color laser machine prints a duty cycle of 55,000 pages and is capable of supporting mid and high volume output rates. Its input tray can hold up to 350 sheets. Available high yielding LaserJet 2700 toner cartridges allow you to go for long periods of time without having to replace tanks. This unit can produce up to 20 pages per minute using black LaserJet 2700 toner and only around 14 pages per minute using color. It can print up to two 10x8 inch, full-color photos in 1 minute and 18 seconds. A quality 6x4 inch photo using color toners takes approximately 1 minute and 30 seconds to print. If you need copy, scan and fax capability, consider the HP CM2320 toner printer. High capacity black HP 2700 toner cartridges yield up to 6,500 pages before they expire. Its color containers consist of cyan, magenta and yellow toner. These high yielding color tanks of printer toner have a 3,500 page capacity. The 2700's printer toner has imaging drums that are replaced every time containers expire. This innovative system helps this printer improve the consistency and quality of documents at little cost to you. Expert reviews have tested this unit's tanks of HP 2700 toner to yield an extraordinary amount while still remaining affordable to users. The 2700 is easily installed and allows you to begin printing in little to no time at all. This laser unit's slow color printing speeds is one of its only disadvantages. 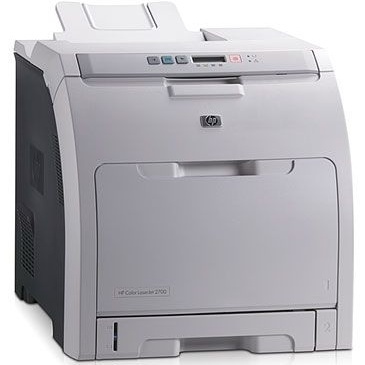 The HP LaserJet 2700 is a personal and small business unit that comes with advanced tank technology that makes laser printing effortless and inexpensive.